The National Water and Sewerage Authority (NAWASA) advises the general public that the following water systems have been switched off due to high levels of turbidity and dam blockages. Petite Etang – Petite Etang, Syracuse, parts of Corinth, Vincennes, parts of Windsor Forest, parts of Laura Land, Perdmontemps, Providence, Champfleur, Child Island. A timeline for restoration cannot be provided at this moment as we are faced with heavy river flow. Consumers whose system is not listed are advised that it is highly possible for said interruption WITHOUT PRIOR NOTICE due to the present conditions of the dams being served. Collect and store water in clean, non-corrosive and mostly tightly covered containers both in and out of your refrigerator. To increase the shelf life of water, group bottles in dark plastic trash bags to keep light out. Store enough water for each member of your family and pet. Have at least a minimum of 3 days supply, of 35 gallons per person, per day for domestic use. Store water in bath tubs, drums, pails and buckets for flushing of toilet, washing and general cleaning. Adhere to public advisories from NAWASA with regards to shutting off water tanks and individual property connections. Your water can be shut off at either the outlet valve or the water meter. Everyone in your home should know where these are located. 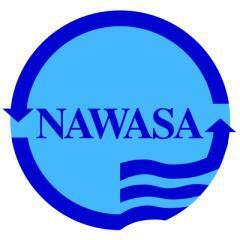 NAWASA will provide updates as information becomes available and apologises for any inconveniences caused. We thank consumers for their patience as we work towards the delivery of a safe, adequate and reliable water supply. NAWASA …. committed to meeting customers’ needs.